Antique handrail bracket 65mm (projection measurement from the wall to handrail centre). Overall measurement is approximately 83mm. 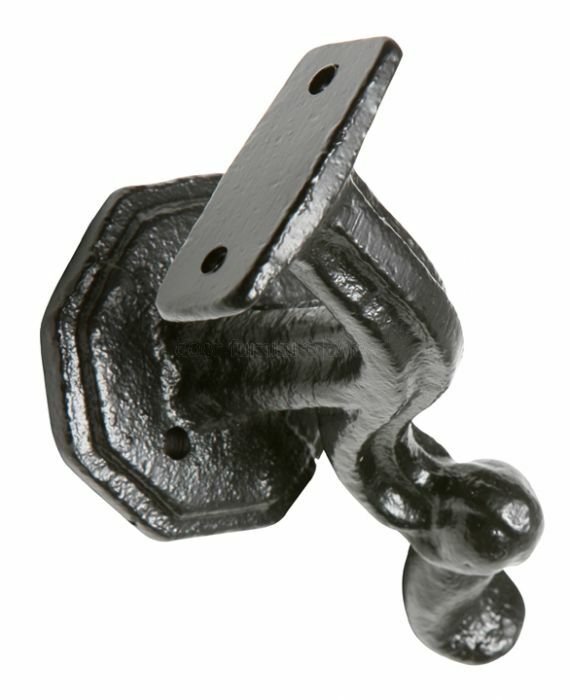 Handrail brackets are used to fix a handrail to a wall. The bracket is screwed to the handrail and then to the wall. This product is not supplied with screws, the fixings used to secure the handrail bracket must be strong enough to take the considerable load placed upon them.